03/20/2011 – Our service department is often presented with challenging projects. One such project this winter involved re-building the skeg of a 42’ powerboat. During fall de-commissioning, it was discovered that the structural integrity of the skeg had been compromised. This posed a problem, as the skeg did not have sufficient strength to reliably support the boat when being blocked for storage. A marine surveyor was asked to inspect the area further and moisture readings were taken at various locations. The readings showed very high levels of moisture and after some core samples were taken, it became clear that the foam that was used to fill the skeg during construction was saturated. The service crew, with the assistance of many other knowledgeable Morris employees, worked diligently to formulate a plan for removing this saturated foam and adding strength to the skeg. Panels were removed along one side to allow access to the inside. It was found that much of the water had worked its way in through the gudgeon attachment, so it was removed and the area was sealed and reinforced. 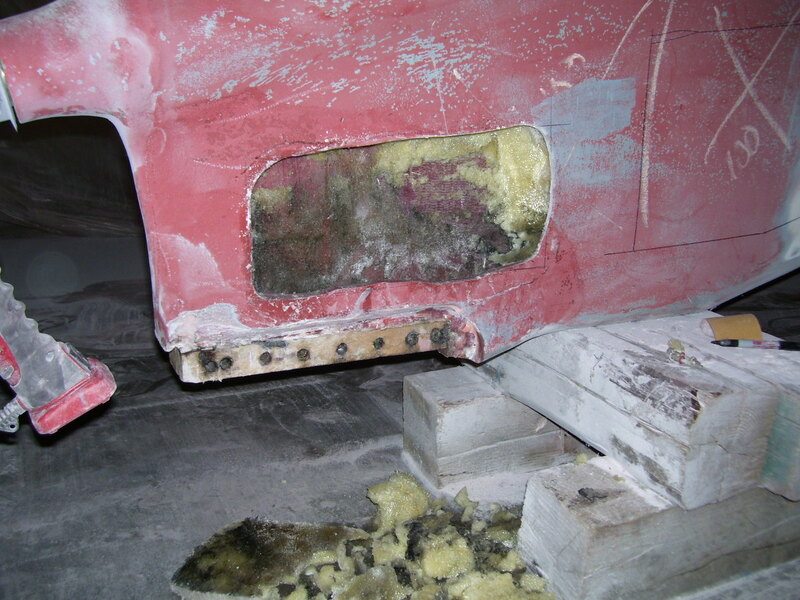 The saturated foam was removed from the entirety and the area was dried and prepared before it was reinforced from within with layers of fiberglass. Vertical supports were also added in the places where it was determined that more structure was needed. 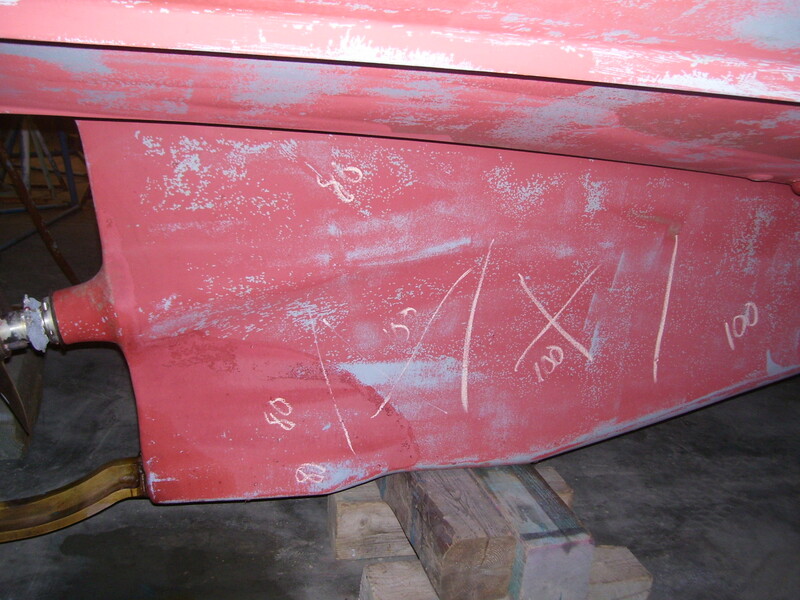 When the internal work was completed, the panels were replaced and the entire outside surface of the skeg was laminated with layers of fiberglass to add even more strength and stability. This left the crew with the task of fairing, sealing and bottom painting, to present an end product that appeared as though we had never been there. Upon inspection of the area, a person would be hard pressed to find evidence of the large amount of work that was done, but the vessel will motor away with a very dry and sound skeg that is greatly improved from when it arrived here in the fall.